With the low light capabilities of digital cameras drastically increasing in recent years, Milky Way photography is booming in popularity. As a result, it is becoming more and more common to see photographers staying out past sunset and late into the night. The easiest way to ensure that you capture a compelling Milky Way photo is to do the proper research and preparation before heading out to shoot. 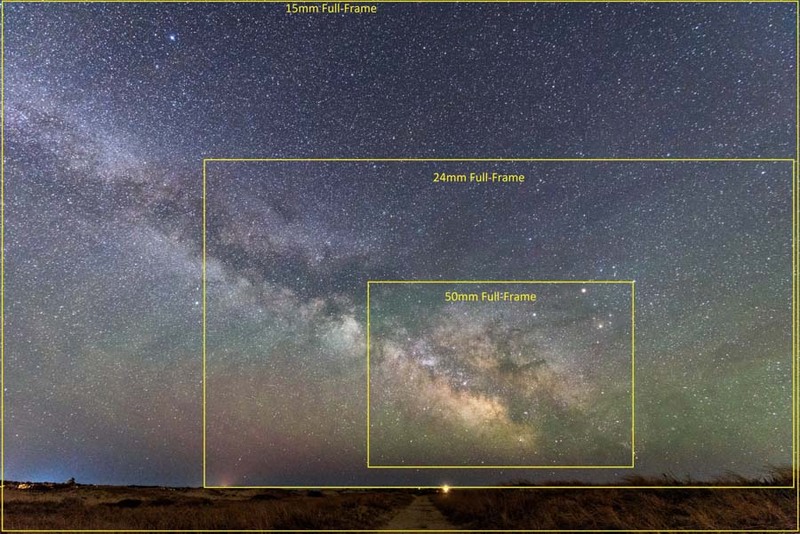 So, before stepping out under a dark night sky, be sure to check out The Ultimate Guide to Planning Your Milky Way Photography, which covers everything from weather forecasts and finding the Milky Way to camera and lens selection. Once you have done the research, packed, and found yourself under a clear dark sky, it is time to get started. For those who haven’t dipped their toes into the world of Manual Mode on their cameras, this idea may be scary. 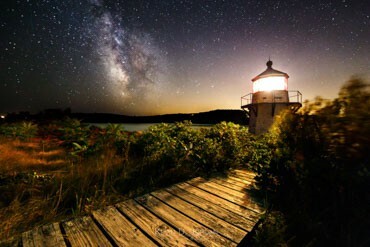 However, when it comes to Milky Way photography, using Manual Mode is a must. The camera's light meter loses its accuracy as the skies get darker, so the only effective way to get the proper exposure is to switch that dial on your camera to Manual and tweak your shutter speed, aperture, and ISO to your heart’s desire. Night sky photography is what got me comfortable with using manual in the first place, and it’s a great way to experiment with how different settings affect your exposure in a shooting environment where you won’t feel too rushed. As with most types of landscape photography, a good tripod is indispensable when it comes to helping to get a crisp long exposure. Since it would be impossible to hand-hold your camera and get a clear exposure seconds or even minutes long, having your camera mounted on a tripod is required for Milky Way photography. While a good sturdy model is recommended, don't worry if all you have as an inexpensive beginner tripod. I've taken night sky photos in the past with my camera mounted on a small gorillapod, so, in good conditions, even a small, cheap set of tripod legs can help keep your camera steady enough to have the Milky Way pop up on the back of your LCD. When it comes to choosing the file type your camera will use to record the data it collects, RAW files are the way to go with night photography. RAW files collect a huge amount of information and allow for a wide array of non-destructive editing (unlike JPEG files). Even more important, however, is that when creating a JPEG file, the camera is choosing how to interpret the data it collects instead of allowing you to do it. Given how much effort is required to take a photo of the Milky Way, do yourself a favor and trust your own ability to decide how you want the photo to look when you get to post-processing. The irregular, brightly color pixels are called hot pixels, which are caused by sensor heating during long exposures. With night photography comes long exposures, and with long exposures come your camera’s sensor heating up. With your camera’s sensor heating up comes hot pixels. While luminance noise (the random, contrast noise that occurs in photos taken at high ISO) occurs in different patterns in each exposure, hot pixels tend to show up in the same spots between photos on a given night. Because of this, the designed purpose of Long Exposure Noise Reduction (which may vary slightly in name between camera manufacturers) is to eliminate these hot pixels from your photo by having the camera take a “dark frame” immediately after your main exposure. The hot pixels found in this dark frame are then subtracted by the camera from your original image, theoretically leaving you with a hot pixel-free image. It Wastes Valuable Time – The dark frame taken by the camera when Long Exposure Noise Reduction is enabled is the same length as your original exposure, which means that a 30 second exposure has a 30 second dark frame involved during which your camera is inoperable. If you are taking a 5 minute exposure, you will be waiting 5 minutes to take your next photo. You get the idea. It Can INCREASE Overall Noise – This may seem counter-intuitive, but while Long Exposure Noise Reduction is designed to eliminate hot pixels, it can also increase luminance noise in photos. For my Canon 6D, the manual advises not to use Long Exposure Noise Reduction at ISO 1600 or higher, as the process may make images “look grainier.” I really wish I had known that fun fact a little bit sooner. It May Not Even Get Rid of Hot Pixels – With many camera manufacturers, the effects of Long Exposure Noise Reduction are not baked into your RAW file unless you edit with their proprietary software (ex. Canon’s Digital Photo Professional). This means that if you process your RAW files in Lightroom, Photoshop, or another third party software, those extra minutes you spent taking dark frames did not actually get rid of the hot pixels anyway. High ISO Noise Reduction, which also may vary in name between camera manufacturers, is your camera’s attempt to reduce luminance and color noise caused by using high ISO settings when taking a photo. Unlike Long Exposure Noise Reduction, High ISO Noise Reduction does not increase the time needed for your camera to take an exposure. However, as with Long Exposure Noise Reduction, third party software ignores the effects of this setting when displaying your RAW file. The quality of the effect varies from camera to camera; however, regardless of the noise reduction effect, the camera doesn’t know what you are thinking or how you want your photo to look in its final form. My recommendation is to turn the feature off so that you can retain as much detail and information in your photo as possible and apply noise reduction to your own taste in post-processing. If you’re shooting RAW files during your Milky Way shoot, which, as mentioned above, is highly recommended, your White Balance setting won’t matter, since it is 100% changeable during post-processing. However, just so I can have a rough idea of what my exposure will look like when I get back home and begin processing it, I set my ISO in-camera to somewhere around 3,800 K, which tends to be similar to the White Balance temperature I choose in post-processing because it provides a good balance of colors in the Milky Way and surrounding night sky. Mirror lock-up is a setting available on many cameras aimed at reducing blur-causing vibrations in photos. The idea is that when the mirror in a DSLR flips up while taking an exposure, it introduces vibrations that can reduce sharpness in an image. Based on my own non-scientific tests, and Jim Harmer’s more technical study, mirror lock-up, in most shooting situations, has no noticeable effect on sharpness. In night photography in particular, exposures are long enough that any small vibration that may be caused by mirror slap won’t have a noticeable effect over the course of the exposure. With that said, I typically keep mirror lock-up off so I have one less camera setting to worry about while I’m fumbling around in the dark. The brightness of your camera’s LCD can have a huge effect on success and failure in night photography. Many of us are used to shooting or viewing photos on our camera’s LCD during daylight, so the brightness of the LCD screen is typically set to a level that allows us to easily view our photos in bright ambient lighting conditions. At night, however, your camera’s LCD is going to be the brightest thing around. One of my earliest mistakes in night photography was adjusting my exposure based on what I saw on the back of the LCD, which led me to having drastically underexposed and unusable shots. When out shooting Milky Way photography, keep the LCD brightness to the dimmest possible setting. As mentioned in The Ultimate Guide to Planning Your Milky Way Photography, lens selection in Milky Way photography is extremely important. There are some physical limitations of lenses that can result in unwanted effects showing up in your photo, such as chromatic aberration and sagittal astigmatism. While both of these effects are mostly correctable in post-processing, doing so can be time-consuming, so avoiding them in the first place is typically the best way to go. Stopping down the aperture of your lens (for example, switching to f/2.8 to f/3.5) can help to reduce the effects of both of these aberrations, but it comes at the cost of letting less light through your lens. As we’ll talk about below, some Milky Way photos are taken in one exposure, while others are a blend of two or more. The second thing to consider when choosing your aperture is how much of the scene you want to be in focus, and how many exposures you are willing to blend together if you are hoping for the image to have a deep depth of field. If getting your scene in focus in one exposure is the goal, stopping down your aperture may be needed. However, I would first recommend try to move further away from your subject to increase your chances of getting everything in focus before choosing to limit the amount of light the camera is collecting by stopping down the aperture. exposure settings. The shutter speed you use is going to be heavily dependent on the focal length of your lens, as well as how much movement of stars you are willing to have in your photo. Although it is not apparent to the naked eye, the rotation of the Earth is fast enough that its effects can be seen in night photos with an exposure as short as 30 seconds or less. The longer your focal length, the shorter your shutter speed will need to be to avoid the effects of the stars appearing to move through your frame. If pinpoint or near-pinpoint stars are one of the goals of your photo, try to consult one of the “Hundred Rules” to help decide on a shutter speed. Maximum Shutter Speed (in seconds) = 600/focal length (as a full-frame equivalent). For example, if the focal length I will be using for my composition is 15mm on a full-frame camera, I divide 600 by 15 to get my maximum shutter speed of 40 seconds. As you can probably tell, the longer your focal length, the shorter your shutter speed will need to be to avoid star trailing in your image. If you shoot on a crop sensor camera, your calculation would be the one below, with the crop factor depending on your camera model and manufacturer. The Nikon APS-C crop factor, for example, is 1.5, while Canon APS-C sensors use a crop factor of 1.6. Micro 4/3 systems typically have a crop factor of 2. Maximum Shutter Speed (in seconds) = 600/(focal length*crop factor). I call this the “Hundred Rule” instead of the 600 Rule because of the different variations I have seen over the years. Deciding how much star trailing is acceptable is entirely subjective and depends on many factors such as the resolution of your camera, how large you intend the photo to be viewed, and, most importantly, how much you actually care about star trailing. Honestly, some people find star trailing to be quite endearing. The factor that is often overlooked when discussing one of the Hundred Rules is the direction the camera is facing. The apparent movement of the stars is going to vary depending upon if your lens is pointing towards Polaris (the star at the northern rotational axis of the Earth), where the apparent movement of the stars occurs much more slowly, or the celestial equator, where the stars appear to move through the sky more quickly. In the Northern Hemisphere, the core of the Milky Way is typically visible in the southeast, south, or southwest towards the celestial equator, so its apparent movement is faster than Polaris, meaning your shutter speed will have to be shorter than if your camera was pointed to the north. In general, I find that I tend to operate somewhere along the lines of a 450 Rule with my full-frame camera. Although, as we will cover below, deciding upon whether you want to capture the Milky Way in one exposure or multiple exposures will be another factor in determining your shutter speed. Setting your camera’s ISO should be the last step in determining your exposure. Unlike shutter speed and aperture (which are mechanical changes made to the camera or lens to affect your exposure), the ISO setting makes more of an electronic change. The sensor of your camera has a “base” sensitivity to the light that interacts with it (typically measured as ISO 100). Increasing the ISO amplifies the sensitivity of the sensor to that light. This amplification can also be accompanied by noise, which is important to keep in mind when selecting an ISO setting. However, the “higher ISO=higher noise” rule is more nuanced than you might think. A good starting point for your ISO setting for Milky Way photography is typically about ISO 3200; however, your ISO setting will ultimately need to be chosen based on your focal length, shutter speed, and aperture. Each camera has different tendencies when it comes to high ISO noise, as well as varying levels of ISO invariance, which, in short, determines how well your photo will respond to being brightened in post-processing after being underexposed in-camera. ISO invariant cameras, such as the Sony A7RII, Fuji XT-1, and Nikon D750, will display a similar level of noise when shot at ISO 3200, for example, as they would if a shot was taken at a lower ISO and brightened to an equivalent exposure in post-processing. If you are using a camera that is not ISO invariant, try to rely on your histogram in-camera to determine what ISO is needed for a proper exposure. Your goal is to use an exposure that puts the main peak of your histogram at least halfway between the left and right sides (as shown below). Even if it requires using a higher ISO setting, in my personal experience with a non-ISO invariant camera—the Canon 6D—I found I got better results if I chose a higher ISO setting in order to try to increase my overall exposure in-camera than if I chose a lower ISO in hopes of limiting noise and then raised the exposure later. The Canon 6D, and Canon cameras in general, tend to produce image files that respond poorly to raising their exposure and shadows in post-processing. However, capturing an image that is brighter than necessary with a Canon camera and later bringing down the exposure in post-processing eliminates the potential for this noise caused by underexposure. This method is called “Expose to the Right” (ETTR), and it should be a rule of thumb to keep in mind for those shooting with non-ISO invariant cameras. Regardless of the type of sensor in your camera, it is a good idea to play around with different ISO settings to see what yields you the best exposure and lowest noise. For an ISO invariant camera such as the Nikon D750, the optimum ISO setting may be around 1600, while on the Canon 6D a higher ISO may be better. Check out this article for an in-depth explanation if the details interest you. However, if you are a stickler for technical perfection, the best rule of thumb is to experiment with your camera and figure out the best settings. If you just want to get a solid Milky Way photo in general, choose your ISO setting based on your histogram and make sure you aren't losing detail in your shadows or highlights. An unedited RAW file with a neutral exposure (note histogram on the upper right). 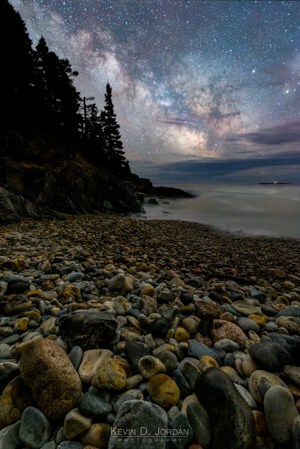 When it comes to Milky Way photography, it is important not to get so caught up in the excitement of seeing the core of our galaxy pop up on your LCD screen that you forget about properly composing your photo. Like many of the wonders of nature, the Milky Way is a beautiful thing. Unlike a sunset or an incoming storm cloud, however, the Milky Way will look very similar, if not identical, in each photo you take of it. Without good composition, it will be easy to make the subject feel stale fairly quickly. One way to keep things fresh with your Milky Way photography is to try to use different focal lengths to show varying views of the galaxy. 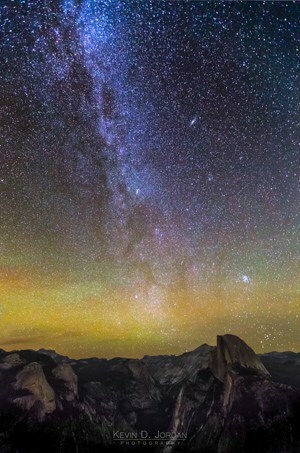 An ultra-wide focal length, such as 14mm or 15mm on a full-frame camera, shows a broad, sweeping view of the Milky Way, which works well to show the galaxy in panoramic form over a grand landscape. For a tighter view that shows mostly the core of the galaxy—the most photogenic part in my opinion—a 24mm focal length is a good choice. At longer focal lengths, such as 35mm or 50mm, the core of the Milky Way appears to dominate the sky and can provide some serious drama over the rest of the landscape. 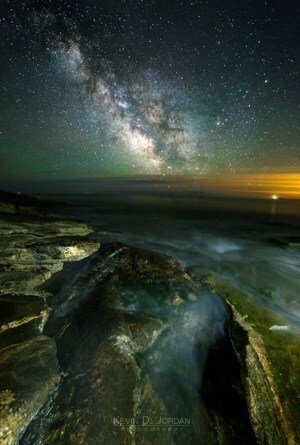 Focusing in the dark is one of the biggest challenges when taking Milky Way photos. Autofocus will be unreliable at best, and more likely it will be just about impossible. In order to get pinpoint stars, you’re going to want to switch your lens to manual focus and do a bit of fine-adjusting to get the focus just right. If you are using a zoom lens, remember to set your focal length before trying to focus, since zooming in or out will make it necessary to refocus before taking your shot. Once you reach your live view’s highest zoom magnification, begin tweaking the focus ring on your lens back and forth to try to make the star or light as small as possible. When the light is at its smallest size, it will be at its sharpest focus. If you plan to take separate exposures for the foreground portion of your shot, you probably won’t have the benefit of having a tiny point of light conveniently sitting on a nearby rock to help you find focus. You can try to cheat the system and place a headlamp on the foreground, but, in my experience, if the headlamp is only a few dozen feet away it will be too bright in your live view for you to be able to tell when it is in sharp focus. Instead, try shining a flashlight on the foreground object you want to have in focus and use the same method listed above to focus on the now well-lit foreground object. Because the slow shutter speeds needed to capture a shot of the Milky Way can be susceptible to vibrations, pressing down on the shutter button will only be an option if you have your camera set up to fire the shot on a delay. Most modern digital cameras have some kind of delay function, ranging somewhere from 2 seconds to 10 seconds. Even better than a delay, however, is an intervalometer or cable release, which fully removes the action of pressing the shutter button from the body of the camera. If you plan on taking an exposure using Bulb Mode on your camera, a remote shutter release will be a must. Before beginning to capture your image, be sure to take a minute to step back, briefly ignore the brain-wrinkling beauty of the night sky, and decide how you want create your exposure of it. Personally, if I decide that my photo is destined only to be viewed on small cell phone screens that will be forgiving of high ISO noise, I’ll typically take one sky exposure which may be set somewhere between ISO 6400 and ISO 12800, depending on my focal length and shutter speed. 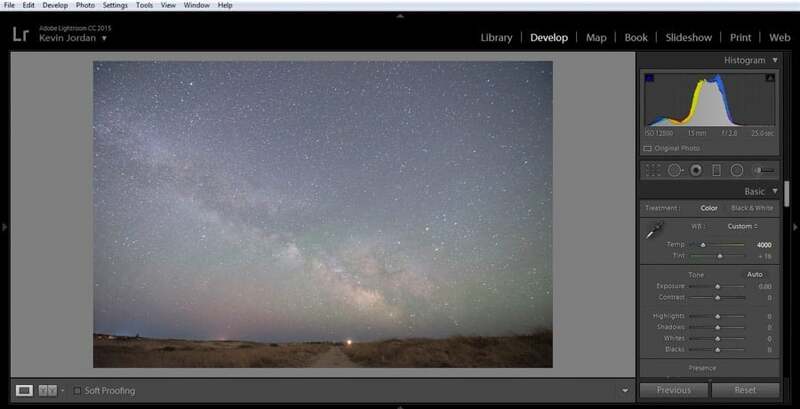 If I think I may want to print a large version of the photo, however, I’ll typically take multiple sky exposures in quick succession at a very high ISO setting (between ISO12800 and ISO 25600) with the intention of stacking the images later in Photoshop to reduce noise. Since with the increased ISO setting I can also shorten my shutter speed, this method tends to ensure that I get pinpoint stars in my sky and effectively takes me from using the 450 Rule to something closer to the 250 Rule. Keep in mind, however, that this method will involve more effort in post-processing to produce your final image. If you try this method, be sure to take the photos with no time in between, since having the Milky Way move over the course of seconds or minutes between frames will make aligning your sky exposures in post-processing more difficult. In night photography, light painting is the method of using artificial light to brighten the landscape in your images. It can be as simple as waving a headlamp at the foreground in front of you or as complex as positioning speedlights or other fixed lighting setups aimed at the scene instead. Personally, I try to use as diffuse of a light as possible when light painting, while also limiting the weight of the gear that I bring with me. This means that my light painting typically consists of standing off to the side of my camera and shining my headlamp covered with an old white shirt sleeve at my foreground elements. This method allows me to shorten the time needed for my foreground exposures and/or lower the camera’s ISO setting to reduce noise. Due to the sometimes hash shadows it can create on the landscape I’m trying to capture, I normally prefer not to use artificial light when taking my foreground exposures. The same goes for photographing a foreground while the moon is high above the horizon, which, depending on the moon phase, can cast a surprising amount of light over the landscape (as well as wash out the Milky Way). If the moon is low in the sky, diffusion from the Earth’s atmosphere can cause moonlight to create a softer light in the foreground, giving the photo a gentler or dreamier feel than the harsh shadows and sharp contrast caused by a full moon or a flashlight beam. My most common way to light the foreground, however, is simply to use the glow of ambient light, which, depending on your location, could be a soft glow from nearby towns or nothing more than starlight if you are truly off the beaten path. The settings to use for foreground exposures can vary widely when exposing the landscape using ambient light. Depending on how dark I feel like the foreground is, I’ll typically run a test shot using my widest aperture, a 2-minute shutter speed, and ISO 6400 to get an idea of what kind of exposure I’ll need to properly light the foreground. I also carefully checking my histogram to make sure my camera’s LCD isn’t fooling me into thinking that my exposure is brighter than it is. From there, I use a simple exposure calculator app on my phone to decide what my final exposure settings should be to capture the foreground with a lower amount of noise. When deciding what exposure settings to use for your foreground exposure, it’s important to keep in mind what kind of depth of field you will need. If you are hoping to capture the foreground in one exposure, stopping down your lens aperture to f/4 or f/5.6 may be necessary. However, this will also mean needing to compensate for the smaller lens opening by lengthening the shutter speed and/or raising the ISO, both of which have the potential to create noise. If I know I have foreground objects close enough to my lens that I will have to focus stack exposures regardless, I’ll often leave my aperture at f/2.8 or f/3.5 in hopes of capture exposures with less noise. Good luck out there and be safe! 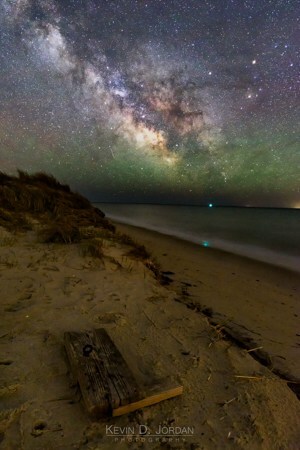 Once you have captured your Milky Way exposures, go get some sleep. Post-processing can wait until you recharge from a sleepless night under the stars. Once you have slept, however, check out The Ultimate Guide to Editing Your Milky Way Photos for some help with post-processing.